All the organizers and participants of the workshop Portrait of Bydgoszcz Residents “That Is The Unseen”, guests of the Camerimage Festival, the inhabitants of Bydgoszcz and all those interested are welcome to present the possibility of the Akurat Cosmo lighting fixture. 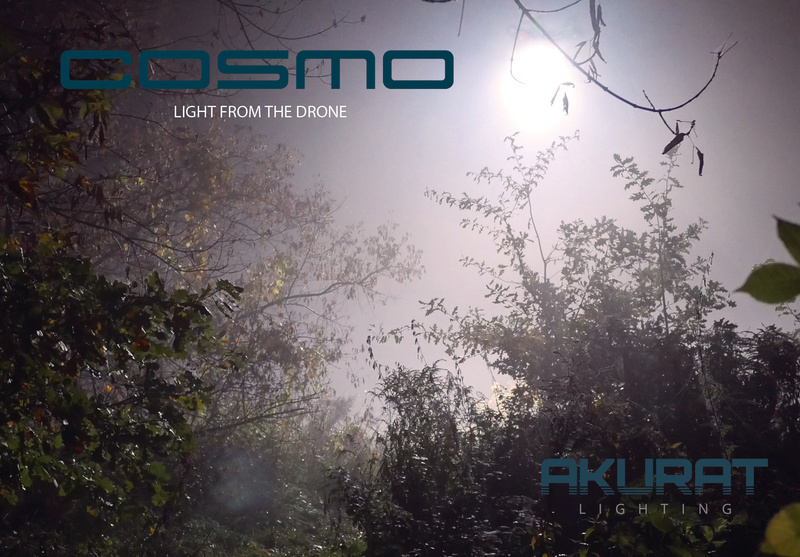 Cosmo is a lightweight, remote-controlled LED fixture from Akurat Lighting with a powerful 800W power, designed to illuminate shooting plans from the drones. In the program flying the Akurat Cosmo light under the big ALTA drone, lamp on a remote controlled trolley, and like aura will allow, also on remotely controlled floating swan. Drone, vehicle and floating objects will be made available and presented by Tomasz Gładys, who uses them every day during the production of natural films. The presentation will take place on Tuesday, November 14, in Bydgoszcz, at the Theater Square. We meet at the Cinebus Foundation Film Spring Open from 4 p.m.